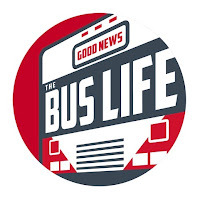 The Good News Bus departed the south on Nov. 30th and arrived in Canada on Dec. 5th. 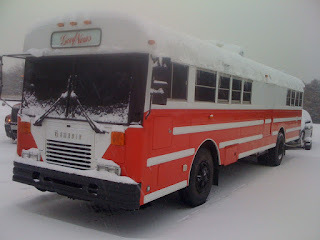 This is the first time the Good News Bus has ever seen snow. Everything went well and we arrived safe. So where is the good news bus these days? Your readers are in terrible suspense, much like the suspense you get from viewing "The Princess Wide"
Neil...I don't have your email. Click on the "Contact Us" link and send me an email.